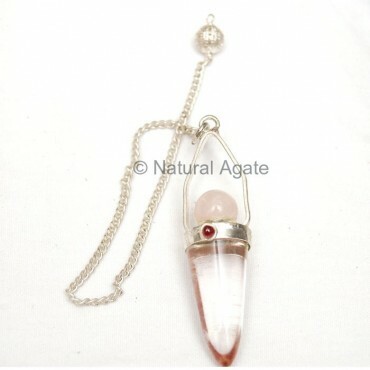 Natural Agate brings various designs of crystal pendulum for you. This pendulum has a crystal pendulum and a ball made from rose quartz on top of it. Crystal Quartz Pendulums with Rose Ball is 20-50mm in length.